Looking for pretty hairstyles for a fun night out with friends (or maybe a boyfriend)? This textured ponytail ‘do won’t fail you. With all of your duties, responsibilities, and deadlines — which, by the way, you never seem to run out of (adulting is hard!) — you hardly ever have the chance, or the time to get all dolled up, let alone go on nights out and hang out with friends and loved ones. So during the rare times that you actually get to enjoy your social life (or what’s left of it), of course you need to look your best: you’ve already picked out your dress, you’ve decided what makeup look to go for, so now you just have to find the perfect party hairstyle for a night out. 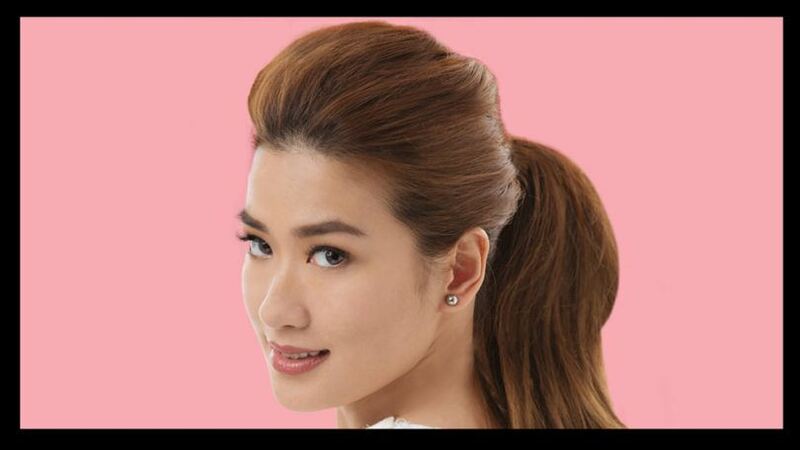 Well, we’ve got Janeena Chan to teach you how to do a textured ponytail ‘do that’s bound to wow everyone. A ponytail is a versatile ‘do that goes well with any occasion. It’s just a matter of choosing the right one. While a sleek low ponytail works for glam cocktail parties, a volumized version can add a bit more fun to your look. Prep your hair by washing with Dove Oxygen and Nourishment Shampoo and Dove Oxygen and Nourishment Conditioner to give your locks more volume. 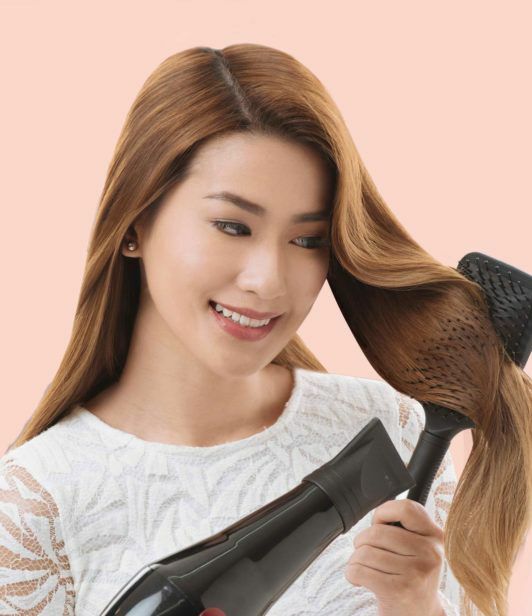 Use a paddle brush while blow drying your hair. Take a section of hair from the top of your head and secure it temporarily with a clamp so you can work on the rest of your hair conveniently. Pull the loose hair together and tie into a ponytail using an elastic. Unclamp the top section of your hair and tease it a bit. Then combine that section with your ponytail for added height. Secure using another elastic. Take a small section of hair from your ponytail and wrap it around the elastic. Lock the ends with a bobby pin. Slightly tug on the hair around your face so your pony is not too tight. This would allow for a softer look. Backcomb your strands using a wide-toothed comb for added texture. Then finish off the look with hairspray, like the TRESemmé Salon Finish Extra Hold Hairspray, and you’re good to go! Who knew a glam hairstyle for night out can be so easy! Now you have a beautiful textured ponytail that speaks volumes!